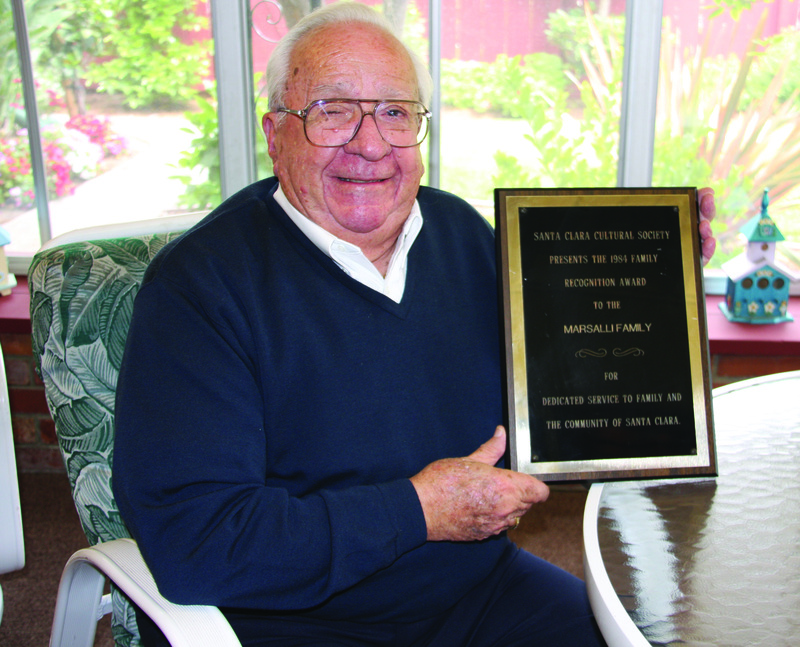 The life of Larry Marsalli, who died last summer at the age of 92, was an illustration of Jesus’ admonition that, “he that is greatest among you shall be your servant.” Marsalli was the founder of Santa Clara’s annual community Thanksgiving dinner, now in its 12th year, where he literally served dinner to hundreds of people. 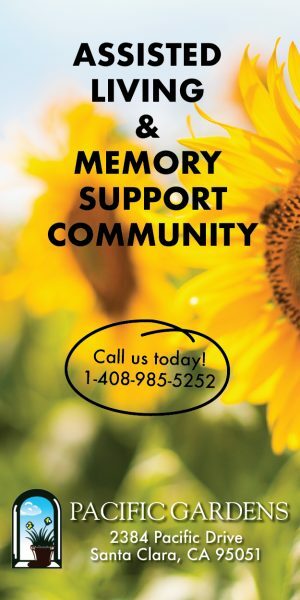 That service frequently involved food, whether the Thanksgiving dinner or cooking chicken at the Italian Catholic Federation barbeque — which involved Larry Marsalli’s special technique for flipping food on the grill with a golf club. Those who worked with him on the Thanksgiving dinner know the truth of that, as they watched him managing every detail of the meal from the planning that starts in the September to washing the last dish on Thanksgiving Day. The community Thanksgiving dinner isn’t about charity, Marsalli told the Weekly back when it started in 2007. It’s about celebrating and sharing the holiday as a community, a gift to families as much as to those with distant or no family. “Serving people from all walks of life, that’s what makes it so special,” he said. Former Santa Clara Mayor and Council Member Larry Fargher remembers, during the 10 years he and Marsalli were on the Council together, going over to Marsalli’s house after meetings to share a meal. Marsalli was also close to another Santa Clara mayor, Gary Gillmor, with whom he ran a joint campaign in 1969 — Gillmor for Mayor and Marsalli for City Council. In those years the City was changing rapidly and laying the groundwork for the economic powerhouse Santa Clara would become. Bold decisions were called for. “He was always there for me,” sad Gillmor. Retired Fire Marshall Ray Gamma remembers Marsalli as an always reliable volunteer fire fighter. “Larry was already in the volunteer fire company and was Assistant Chief when I joined,” Gamma said. “We had a heck of a group of volunteers. When we rolled out for a fire Larry was always there. He always showed up. 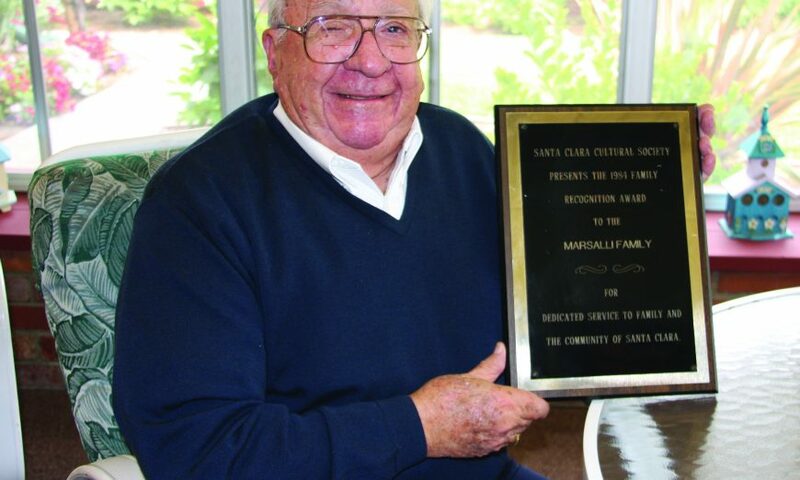 Marsalli is practically synonymous with one Santa Clara institution in particular: the Parade of Champions, which was discontinued in 1995 when Marsalli stepped down after chairing the event for 50 years. Originally a Columbus Day celebration, the parade got its name in 1968 when it honored Santa Clara’s Olympic swimmers. The parade brought Santa Clara the kind of attention it wouldn’t see again until Super Bowl 50 came here. Mahan remembers Earnest Borgnine starring in the parade during the height of the popularity of McHale’s Navy. Other stars that made a stop in Santa Clara thanks to Marsalli’s promotional talent included 1970s child TV star Rodney Allen Rippy and actor and movie director Cornell Wilde. There are two video interviews with Larry Marsalli on DVD at the Central City Library. You can also watch (and download) the videos online here and here. Online videos are courtesy of Brian Marsalli.